The Dedication Ceremony was initiated by Rev. 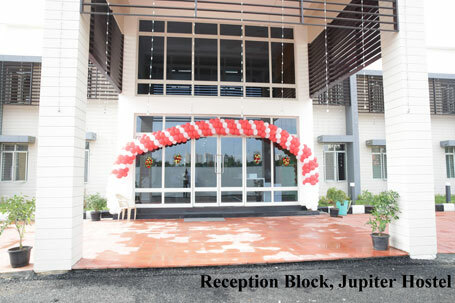 George Mathew for the Reception Block of the Jupiter Hostel Complex on 08th November-2018. The building was dedicated to the glory of God by Rev. George Mathew, Vicar, Chetpet Marthoma Church, Chennai, in the presence of Dr. Mrs. Elizabeth Verghese, Chancellor, HITS; Dr. Anand Jacob Verghese, Pro Chancellor, HITS; Dr. Aby Sam, Director, HITS; Mr. Ashok Verghese, Director, HITS; and Dr. K. P. Issac, Vice Chancellor, HITS. The ceremony congregation was also marked by the presence of members from the Management, Deans, HoDs, staff and students. MDs of the construction units were also present at the function. The ground and the first floors have latest amenities for the hostellers to provide a feel at home experience. 1.Reception Desk for students and visitors. 2.Comfortable lounge for parents, visitors & guests. 3.Office for Hostel Manager, wardens and other staff members. .
4.Infirmary with bed facility & pharmacy. 5.Fitness center with gym and other necessary equipment. 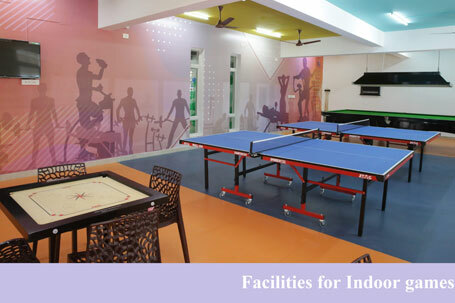 6.Indoor games like Billiards, Badminton, Table Tennis and Chess etc. 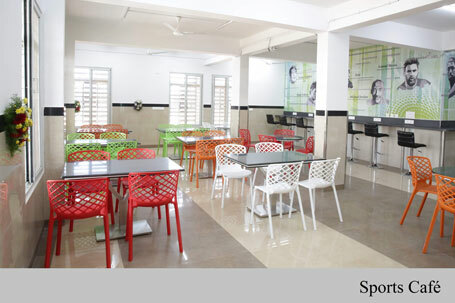 7.Sports Café to serve refreshments like snacks, cold drinks & juices for students. 8.24 X 7 round the clock security provision with help of CCTV cameras & security guards in full vigilance. With this completion of this new block, it become a perfect recreational center for our students. These services can be utilized by staff members also to keep themselves fit and firm. The Chancellor was very appreciative of this wonderful block with latest facilities for the students and conveyed her best wishes to everyone.